If someone was to tell me that Lexus was into performance 10 years ago, I would have looked the other way. The brand Lexus penetrated the automobile market with luxury sedans that were unrivaled for it's cabin quietness and refinement so much so that it gave all continental competitors a run for its money. Today, Lexus has redefined the standards of the supercar category by introducing the limited production LFA for the rich and the readily available and more affordable IS F for the 'average' Joe. 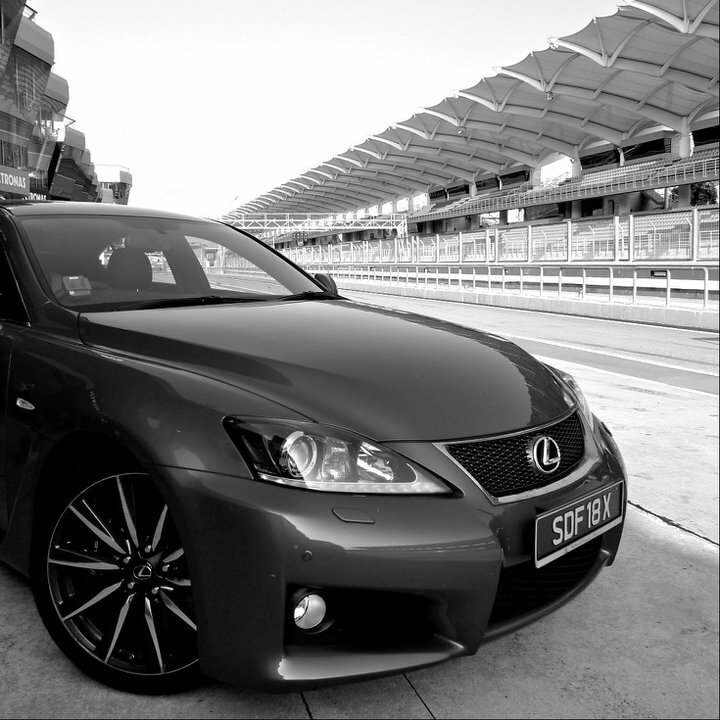 Lucky for me, I had the privilege of taking the IS F around Sepang International Circuit for a few high speed laps to experience what the 'F' badge was all about. For a start, the IS F looks almost identical to its tamer IS250 sibling but it was slapped on with swollen arches and a noticeably larger bonnet to accommodate the massive 5.0 litre V8 power plant that produces 417 brutal brake horsepower and over 500 Nm of torque. Starting her up, the IS F seemed tamed in idle with a noticeable exhaust note. The instrument display for the 2011 ISF offers a large tachometer in the middle and both digital and analog speedometers to tell you exactly how fast you were going. 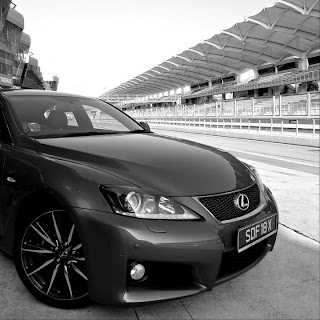 As I cruised down the pit lane on entry to the track, the IS F behaved pretty much like a Lexus, it was comfortable and I found myself engulfed in it's quality and yet sporty cabin. The ride was somewhat stiffer than the conventional Lexus but other than that, it would have passed off for an F-Sport packaged IS250. After the first hairpin, I could already feel the the IS F steered with precision and I started to feel that this was no regular Lexus. As the tachometer swings past the 3800 rev mark, the Yamaha engineered VVTi-E engine breathes through it's secondary intake producing a menacing V8 growl that launches you forward with 417 bhp at the rear. For those of you who love the Honda VTECs, you will enjoy the IS F! Handling was precise with massive amounts of grip around the high speed corners. I am not exactly sure how many Gs were experienced but I am certain that I took many high G corners. The IS F is equipped with Lexus's Vehicle Dynamics Integrated Management (VDIM) which makes the IS F an idiot proof car to drive. Over steering the IS F with the VDIM turned on is almost impossible as the system will just simply keep you on track, making driving such a powerful performance vehicle safer on conventional roads. The 5.0 litre V8 is mated to a 8-speed automatic gearbox with pedal shifts, giving you a 'Formula 1' type experience should you chose to select the M-mode at the transmission. 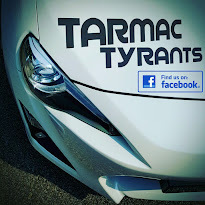 The gearbox is responsive, quick and downshifts very nicely with a lovely exhaust 'blip'. I must say that Lexus has never failed to impress and the IS F is certainly a well engineered luxury sports sedan that accomplishes a 0-100km/h time of 4.8 sec and a top speed of 270km/h (electronically limited). Nevertheless, the IS F faces a very stiff competition from it's veteran German rivals in terms of price and performance. The IS F is not a perfect car but considering this is the first production performance model from Lexus, it certainly meets the mark. Downside? It costs almost as much as a BMW M3. The Good: Awesome sound, responsive V8 with comfortable suspension. Great dials!